VIA CRUSIS. Monching Calaguas, 42, of Barangay Sta. 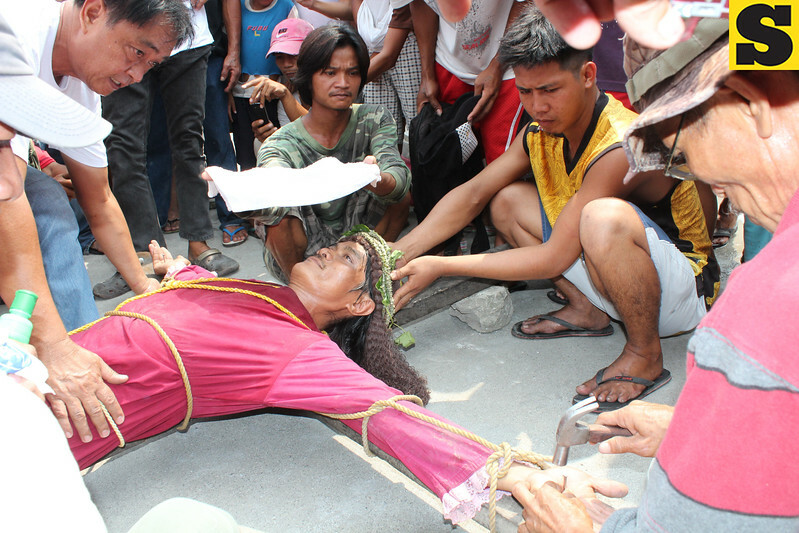 Barbara is nailed to a wooden cross during rites held in Barangay San Vicente, Bacolor town.